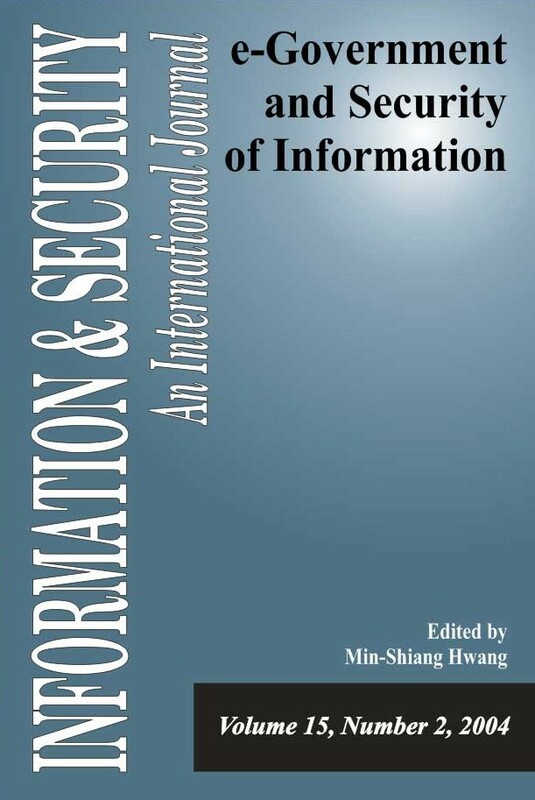 This volume examines the challenges related to security of information in E-Government with case studies from Taiwan, Thailand, and Indonesia, looking at policies and their implication, development of PKI infrastructure, secure e-mail application software for government, and e-voting. Another group of articles treats issues such as user authentication and encryption in e-Government, use of smart card technology, enhanced electronic password protection schemes, spam filter technology, security of digital images, and medical information security systems. Editorial. "E-Government and Security of Information." Information & Security: An International Journal 15, no. 1 (2004): 5-6. OU, Chung-Ming, Chuan-Te HO, and Hwai-Ling Shan. "Government PKI Deployment and Usage in Taiwan." Information & Security: An International Journal 15, no. 1 (2004): 39-54. Chan, Chao-Wen, and Chin-Chen Chang. "A Novel Lower Cost Crypto-Scheme Based on the Theory of Sharing Secrets." Information & Security: An International Journal 15, no. 1 (2004): 89-109. Tahir, Muhammad Nabeel. "A Secure Online Medical Information System in Distributed and Heterogeneous Computing Environment." 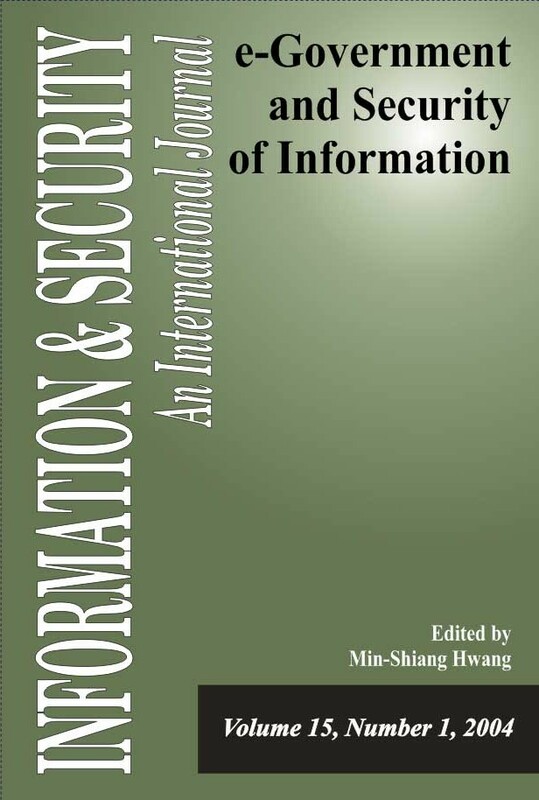 Information & Security: An International Journal 15 (2004): 211-215. Tu, Shu-Fen, and Ching-Sheng Hsu. "A BTC-Based Watermarking Scheme for Digital Images." Information & Security: An International Journal 15, no. 2 (2004): 216-228. Monitor, ISIJ. "E-GOVERNMENT AND SECURITY OF INFORMATION INTERNET SOURCES." Information & Security: An International Journal 15, no. 1 (2004): 117-127. Monitor, ISIJ. "E-GOVERNMENT AND SECURITY OF INFORMATION INTERNET SOURCES." Information & Security: An International Journal 15, no. 2 (2004): 231-255.